Let’s say you’ve always wanted a Jeep, but you need four doors and a more spacious backseat – check out the 2017 Jeep Wrangler Unlimited. This new Jeep has the capability of a Wrangler and the versatility of a bigger SUV with more space for passengers and cargo. It’s just as at-home on the trails as it is around town and on the freeway. Every 2017 Jeep Wrangler Unlimited is Trail Rated® meaning they’re four-wheel drive and have met a set of rigorous standards to make sure it’s off-road ready. Wherever the trail takes you, the 2017 Jeep Wrangler Unlimited is ready. Ready to experience a 2017 Jeep Wrangler Unlimited in Tempe, AZ? Come test drive a 2017 Jeep Wrangler near Phoenix, AZ? Stop by Tempe Chrysler Jeep Dodge Ram and check out our inventory today! Not satisfied with the 2017 Jeep Wrangler Unlimited inventory in Glendale, AZ? Make the short trip to Tempe, AZ, to start your adventure in a Jeep! The 2017 Jeep Wrangler Unlimited not only lives up to its heritage in its off-road capability, but also in its styling. It stays true to its legendary military roots while still looking modern. From the round headlights to the seven-slot grille to the distinct profile, this is unmistakably a Jeep. The interior has just as much character as the exterior. It has a wash-out interior for easy cleanup after a messy adventure, available leather-trimmed seats, and available tech such as SiriusXM® satellite radio and Garmin® navigation. 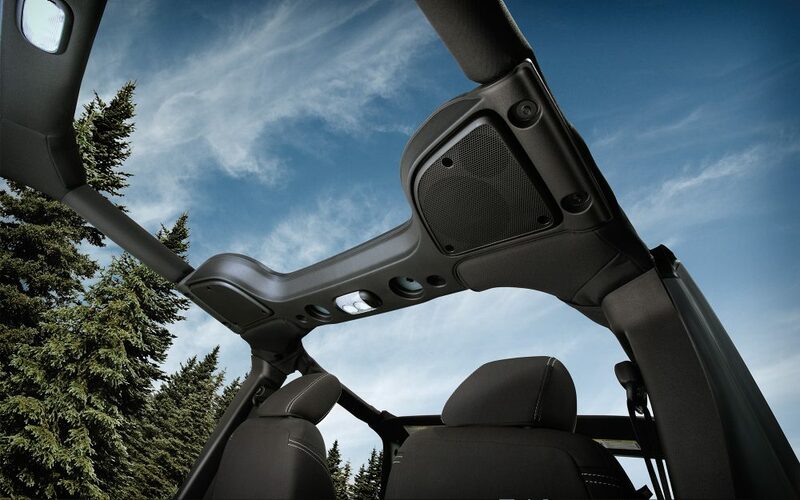 Inside and out, the 2017 Jeep Wrangler Unlimited has rugged style. Every 2017 Jeep Wrangler Unlimited is powered by the beloved 3.6-liter Pentastar® V6 engine. This delivers the power and torque you need to conquer any terrain while staying fairly fuel efficient. It’s available with either an automatic transmission or a manual transmission if you prefer to shift your own gears. The Command-Trac® and Rock-Trac® 4×4 systems available give you confidence off-road and in any road condition you can imagine. In any configuration, the 2017 Jeep Wrangler Unlimited can handle anything.